The place is amazing and the staff so regardful. I could not fault this place, it was very spacious, lovely bath room, everything you need to stay and prepare some meals for yourself if you wish, it's not that far to walk to the Esplanade but I would say you do need a car to stay here, Great gym. The room was lovely and very comfortable. The bed was very comfortable as well. Great cooking facilities and pleasant decor. Very stylish well appointed room which was very large. We were very impressed with this. Great bathroom and kitchen. Location was within acceptable walking distance to main centre and bus stops etc. Free access to the health club next door was fantastic. Room is clean with all essential stuffs. Kitchen has all appliance i need. Our two bedroom unit suited us perfectly. The surrounds were lush and gardens well kept despite an obvious dry spell in the area. Although an older complex, it was beautifully renovated throughout. It was modern, and very spacious for the three of us. Each room had its own air conditioner and fan, and quality screens throughout meant everyone was comfortable. We overlooked a large pool which was never crowded and had sufficient pool lounges. Seeing kangaroos grazing by the pool one morning was a treat. Lock in a great price for The Sebel Palm Cove Coral Coast – rated 8.7 by recent guests! The Sebel Palm Cove Coral Coast This rating is a reflection of how the property compares to the industry standard when it comes to price, facilities and services available. It's based on a self-evaluation by the property. Use this rating to help choose your stay! 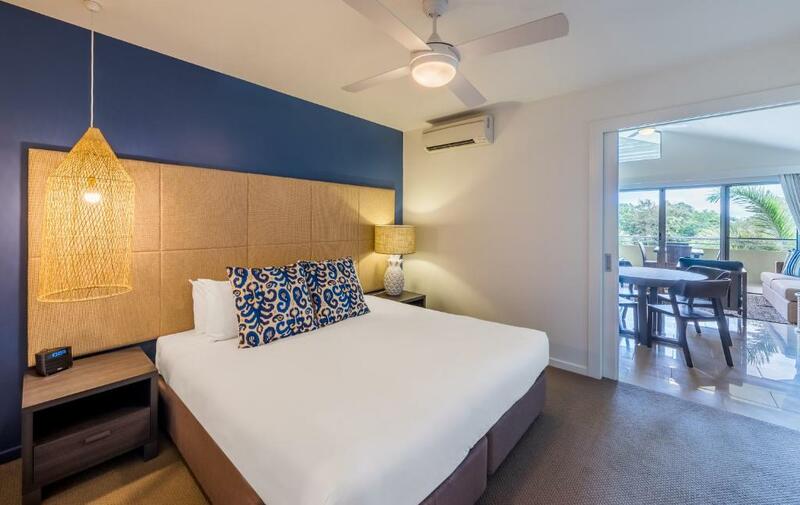 Boasting an outdoor pool, a sauna, The Sebel Palm Cove Coral Coast is just 5 minutes’ walk from Palm Cove. It offers self-contained accommodations with a private balcony. 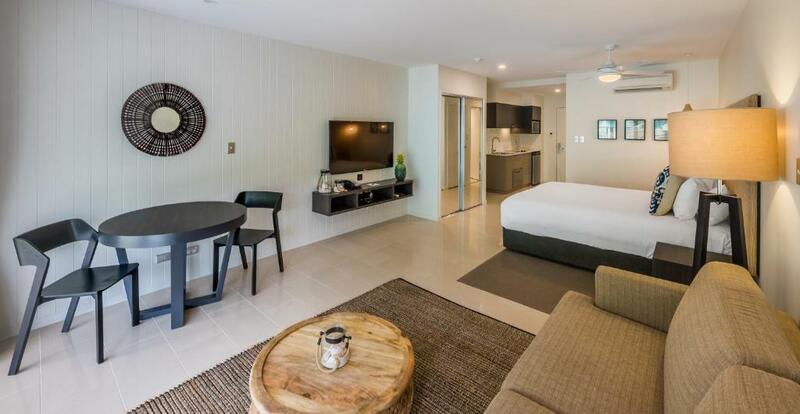 The Sebel Palm Cove Coral Coast is 10 minutes’ walk from Palm Cove Country Club and Golf Course, and 3.1 mi from Cairns Tropical Zoo. Kewarra Beach is a 10-minute drive, and Cairns is a 25-minute drive away. The air-conditioned apartments have a kitchenette with a dishwasher and a stove. 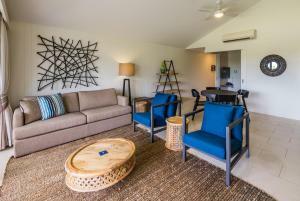 Each apartment has laundry facilities and a seating area with flat-screen cable TV and a DVD player. You can play a game of tennis, or work out in the fitness center (charges apply). The barbecue area is the perfect place for a casual meal. 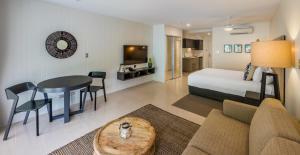 When would you like to stay at The Sebel Palm Cove Coral Coast? This air-conditioned studio features a private balcony. It also has a kitchenette and a seating area with flat-screen satellite TV and a DVD player. This air-conditioned apartment features a private balcony. It also has a kitchenette and a separate living room with flat-screen satellite TV and a DVD player. This apartment has a balcony, toaster and DVD player. This apartment features a balcony, pool view and stovetop. 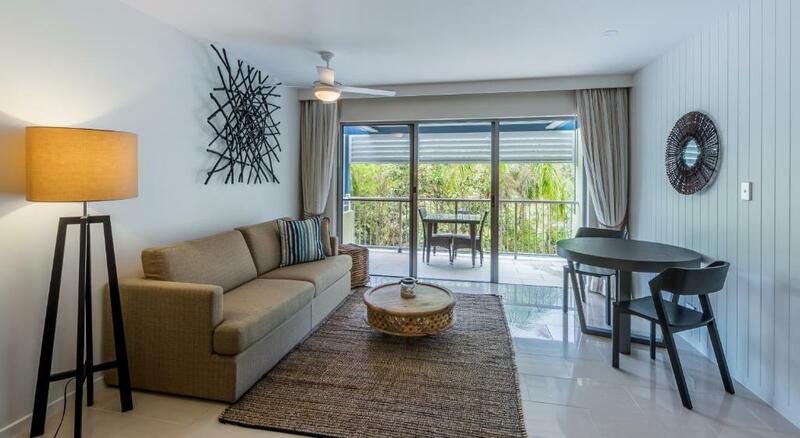 The Sebel Palm Cove Coral Coast offers 37 spacious apartments near the Great Barrier Reef, 30 minutes from Cairns. 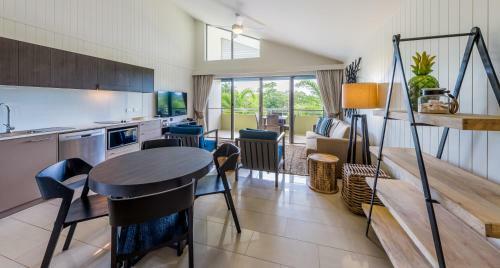 House Rules The Sebel Palm Cove Coral Coast takes special requests – add in the next step! One child under 2 years is charged AUD 25 per person per night in a crib. The Sebel Palm Cove Coral Coast accepts these cards and reserves the right to temporarily hold an amount prior to arrival. The pool and the surrounding area looked and felt tired and neglected. The pool water too warm and not refreshing. The pool tiles are a bit dirty and need a bit of TLC. The pillows were a bit too flat, perhaps varied choice of pillows wouldn't go astray. It’s set back from the beach in a resort area which doesn’t have much soul. Foxtel wasn't working so we couldn't watch the cricket - maybe I should pop that in the positives. It was also a bit unusual for reception to close at 6pm but it didn't cause problems. The apartments were very spacious, light and airy and you could not hear any noise from other apartments. There were ample and comfortable sofas and chairs, and sufficient kitchen facilities for our needs. All in the room and the BBQ ! The lifts in the complex were a little slow although were being renovated when we were there. There was no bath in the bathroom however it was tastefully updated. Check in was three pm, not two as stated on our booking, however staff were lovely and gave us pool towels to swim while we waited, even offering to put groceries in a fridge. Room was great!!! Good layout and spacey! The smoking policy. I would have liked to be able to smoke in the balcony at least, but all good. And maybe having breakfast would be nice as well. We thought we had booked at the Sebel but it was actually the coral coast apartments of which some are owned by the Sebel. This was not clear on booking and meant that we were seperated from the other parties in our group.